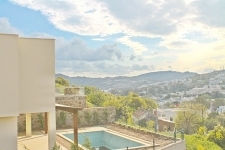 Villas for sale in Bodrum and Sea view Bodrum houses are right there at the top of our Turkey real estate portfolio. If you have ever visited Bodrum Peninsula you’ll know it’s full of secret coves, volcanic hills, ancient ruins and gently lapping water. 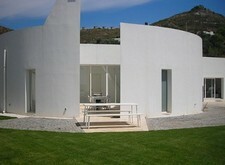 Bodrum villas are built to reflect the landscape – tucked into hillsides and turned towards the sunshine. 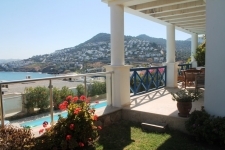 Houses in Bodrum for sale are sought after for their sea views and their typically Aegean designs. Architects here favour the area’s natural materials such as Bodrum stone and marble and villas tend to have a clean, whitewashed look. 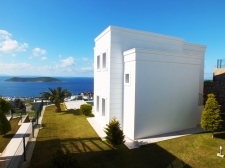 Thanks to Bodrum’s elevation, most houses have striking views over the sea. Building regulations mean that villas can be no more than two storeys high, which means if its has a sea view it will stay that way. Bear in mind that Bodrum’s hillsides can be steep. If you have mobility issues or just prefer somewhere flat you may be better off keeping close to town centres on the Peninsula as opposed to taking to hills.